CAPE’s Virtual Simulators are interactive virtual experiences for Army Professionals that can be played on a computer. The virtual simulators place Soldiers and Civilians into realistic and relevant scenarios where they can learn by making decisions and seeing the potential real-life consequences that play out in a movie format. The virtual simulators enable Army Professionals to better understand key concepts of the Army Profession and Ethic through the lens of everyday Army situations, in garrison and deployed, and improve their ability to uphold the Army Ethic in decisions and actions. Battalion and Brigade Commanders are responsible for everything that happens or doesn't happen in their respective organizations and their Command Sergeants Major are their most important advisors, charged with the skillful execution of the Commander's intent. In this virtual simulation, you get to face the home station leadership challenges of a new Battalion Command Team and a new Brigade Command Team. 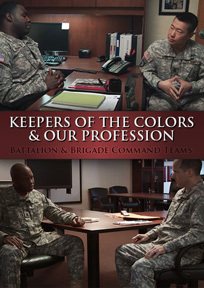 The primary audience for Keepers of the Colors & our Profession is Battalion and Brigade Command Teams. As a member of the Army Civilian Corps, you make a key contribution to the success of the mission - helping to grow the Army as a Profession and not just a bureaucracy. In Dedicted to The Profession, you get the opportunity to experience the mission as a new Army Civilian employee, a new prior service Army Civilian, and a new supervisor. 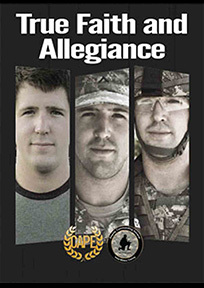 Each character provides its own insights into different aspects of the Army Civilian's role in the Army Profession. The primary audience for Dedicated to the Profession is Army Civilians. 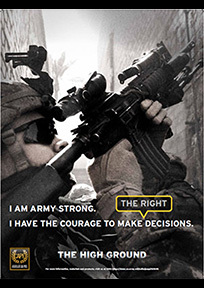 As Junior Enlisted Soldiers you are dedicated members of the Army Profession. CAPE's In My Squad virtual simulator puts you in realistic situations that will challenge your critical thinking and decision making skills. The goal of this virtual simulator is to help you develop in your Character, Competence, and Commitment as dedicated members of the Army Profession. 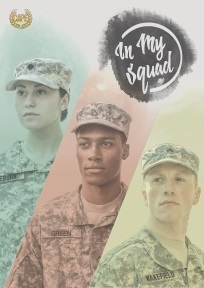 The primary audience for In My Squad is Junior Enlisted Soldiers. The Company We Keep is an interactive video simulation for Company Commanders and First Sergeants. 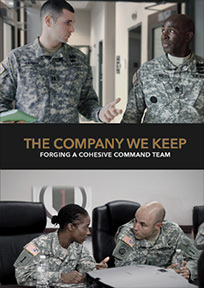 It focuses on the responsibility of the Company Command Team (CCT) members to serve as Stewards for the Profession of Arms by communicating, working as a team, counseling/mentoring within the garrison environment, and inspiring commitment to the Army Profession through daily tasks. The interactive simulation demonstrates how excellence and leadership should be modeled in the areas of training development, property accountability, materiel readiness, and personnel readiness. The audience for The Company We Keep consists of Company Command Teams (CCTs) of Company Commanders and First Sergeants in both Active and Reserve Components. 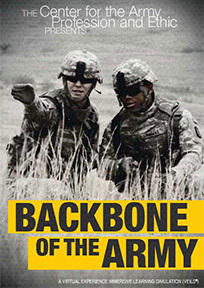 Backbone of the Army prepares you for life in deployed situations and at home station, working through events and dilemmas that will challenge your ideas of what it means to be a leader and a steward of the U.S. Army Profession. The audience for Backbone of the Army consists of Sergeants who reflect the broad Army demographic. In The Future is Now you'll experience small private college or large state university life as a first- and second-year cadet. Through multiple playable characters you'll face many college lifestyle situations, which often conflict with the cultural and ethical norms of life as an Army Officer. 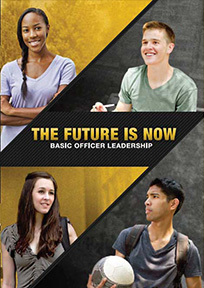 The audience for The Future is Now is primarily MS2 level Cadets. Some of the scenarios in the simulation that focus on campus life exclusively may be used with MS1 Cadets, but the focus is on MS2 Cadets. The purpose of The High Ground is to give Army leaders, especially those who are new to positions of leadership, practice in developing the crucial moral/ethical skills that are the foundation of their professional ethic. The audience for The High Ground includes United States Army Squad Leaders (E5/E6), Platoon Sergeants (E7), Platoon Leaders (O1/O2), and Company Commanders (O3). Soldiers who will be placed in new positions of authority may also benefit from this interactive video. True Faith and Allegiance follows the progress of J.T. Taylor from high school to new Soldier. This program gives new Army trainees the opportunity to understand and apply the Army Values to everyday decisions and see how these seemingly small events can have long-lasting repercussions. Ethical decision-making is a skill that improves with practice. True Faith & Allegiance will give you that practice and confidence in your ability to make ethical decisions when times are tough. The audience for True Faith and Allegiance is made up of USA Privates in Basic Training, Advanced Individual Training, and OSUT. 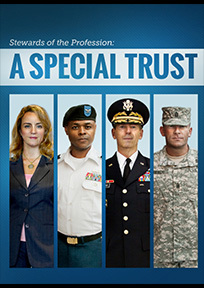 Stewards of the Profession: A Special Trust focuses on the Army Profession and Ethic, along with civil-military relations. The concepts of the profession are applied to Command Climate and Leader Development issues. The audience for A Special Trust consists of four distinct learning populations of strategic leaders. They are General Officers, Colonels, Sergeants Major, and their civilian equivalents. 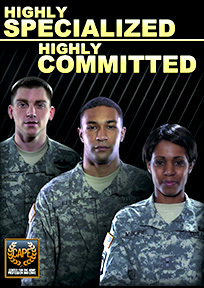 Highly Specialized, Highly Committed is a virtual simulation training product that focuses on Army Profession and Ethic concepts and how they relate to the leader/professional development of Soldiers as they transition into the Warrant Officer cohort. The audience for Highly Specialized, Highly Committed includes Warrant Officer Candidates, Newly Appointed Warrant Officers, and junior Warrant Officers at their first duty assignment. *Instructions are for downloads only. Warning: This product uses large video files, streaming requires a fast connection.